Therefore, «Post-Picasso. 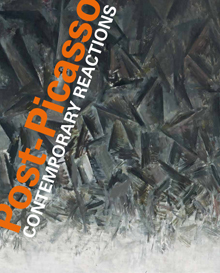 Contemporary Reactions » dismantles the preconceived ideas and breaks the stereotypes and, at the same time shows us the fascinating ways that each of the artists has chosen to construct themselves and construct their career. A plurality and wealth of trajectories and approaches that allow us to get a deep insight into the knowledge of Picasso and his reception in an exceptional and new way.